Infrared imaging is a tool that helps home inspectors discover issues about a home or building that cannot be identified using traditional inspection methods. Home inspection reports with thermal images contain more information for the buyer. Infrared thermal images reveal temperature variations that show possible problems behind the ceiling, walls, and floor. Not all inspectors use infrared imaging during home inspections, so it is wise to choose one who understands the benefits of using such technology. An infrared camera can catch problems that might otherwise go undetected. If your inspector uses infrared imaging, your inspection report will include infrared images and explanatory notes. The thermal energy emitted by different components of the home is shown in a spectrum of light on the infrared image. If a ceiling indicates a dark section on the infrared image, for example, there could be a water leak behind that section of the ceiling. Infrared imaging during home inspections can identify issues in the house like electrical hotspots, moisture intrusion, and missing insulation. An electrical hotspot is undetectable by the naked eye. But when seen using a thermal camera, the excess thermal energy emitted by electrical hotspots often appears orange, yellow, or white. It is important to know whether your house has an electrical hotspot because it might cause a fire. Excess moisture can cause significant damage in your house. Fortunately, infrared imaging can help locate the source of a leak since it will appear as an unusually cooler spot. If your house has gaps near windows or doors, your home is less energy-efficient. 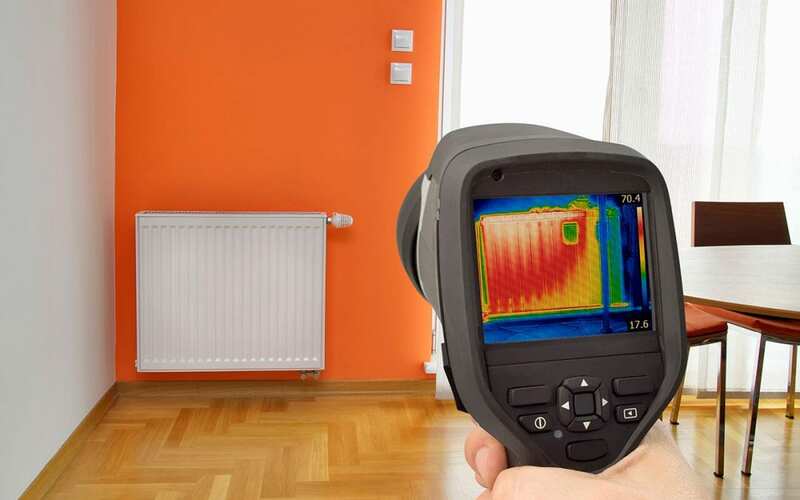 Infrared imaging during home inspections can pinpoint the areas of energy loss. The best way to enhance energy efficiency inside your house is to seal the gaps to the outside. Thermal imaging helps by identifying the areas that should be repaired. Thermal imaging is a new technology and not all inspectors use infrared cameras. For a thorough inspection with the best information, choose a home inspector who includes infrared imaging during home inspections. Professional Inspection Network includes thermal imaging in inspections at no extra cost. Contact us to book your inspection.